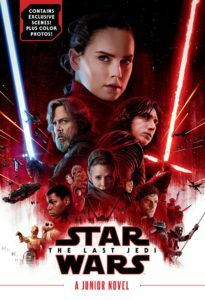 The Last Jedi – #1 Bestseller in the UK! The Force is strong with my junior novel of Star Wars: The Last Jedi! It rocketed to the number one spot in the UK Official Top 50 of all books in its April 17 debut. Thanks to all the fans in the United Kingdom for adding this tome to their Jedi libraries. I hope you enjoy it! Read more at The Bookseller, the UK’s leading publishing news site. I’ll be signing copies of my graphic novel Empire of the Wolf at Barnes & Noble/Bookstar in Studio City, CA on Saturday, July 15, at 1pm. Please come by, grab a book, and say hi on Saturday! Rancho Cucamonga Library Star Wars Day – Sat. May 26! The Rancho Cucamonga Library has invited me to their celebration of Star Wars books and the 40th anniversary of Star Wars on Saturday, May 26th, starting at 11am. I’ll be signing my books and joining actress Julie Dolan (the voice of Princess Leia on Star Wars Rebels) and fellow author Cecil Castellucci in a tribute to Princess Leia with host Allen Callaci at 1.15pm. Come join us for a great Star Wars-themed day! This is one of the biggest events for the Rancho Cucamonga Library, and it’s guaranteed fun. 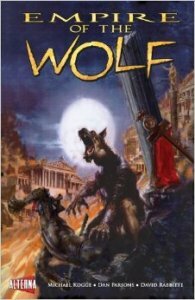 I’ll be signing copies of my graphic novel Empire of the Wolf at Barnes & Noble in Glendora, CA on Saturday, May 20, at 2pm. If you’re in Orlando, I’ll be appearing on two panels on Friday April 14, 2017 at Star Wars Celebration. 4:30-5:30pm: Lucasfilm Publishing Writers’ Rountable, Behind-The-Scenes Stage – W304, 3rd Floor. 7.30pm-8.30pm: Inside Star Wars Insider, Star Wars Collectors’ Stage – W307, 3rd Floor. I’m also assisting the live-stage reading of Smuggler’s Revenge, a new audio adventure directed by Kyle Newman and starring David Collins as Han Solo and Catherine Taber as Princess Leia, along with Warwick Davis and many Star Wars regulars in supporting roles! It’s on Saturday April 15, 2017 from 7-8pm on the Celebration Stage – Chapin Theater, 3rd Floor. Should be a ton of fun! 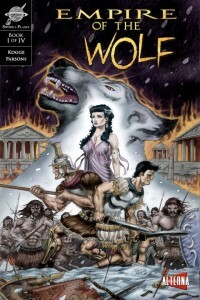 Free EMPIRE OF THE WOLF Issue #1 for May 7th’s Free Comic Book Day! 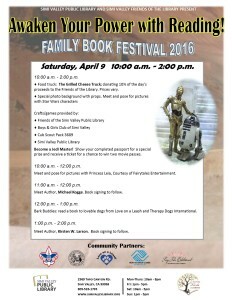 The Simi Valley Public Library graciously invited me to their annual book festival this Saturday, April 9th. I’ll be there to speak about and sign my books, as will author Kirsten W. Larsen. Alicia Doyle of the Simi Valley Acorn newspaper interviewed me and wrote up an excellent article detailing the event. So come by, enjoy the food truck, talk superheroes and Jedi, and even read a book to a furry friend! 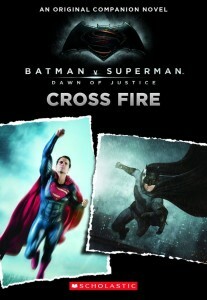 Batman v Superman – Cross Fire! Superfriends everywhere may enjoy my original companion novel to Batman v Superman: Dawn of Justice, set before the events in the film — Cross Fire! Cross Fire is the story of young Rory Greeley, and how he becomes involve in the escalating conflict between the two superheroes. Most of all, it was such a pleasure to write the banter between Bruce Wayne and Alfred, along with Clark Kent and Lois Lane. Nothing quite like crafting a new story for these pillars of American popular culture!